The holidays are coming, and for most us that means time off work, school, college or whatever other activity takes up most of your normal daily routine. Aside from eating, drinking and generally being merry, how are we supposed to adequately fill our relaxation time? 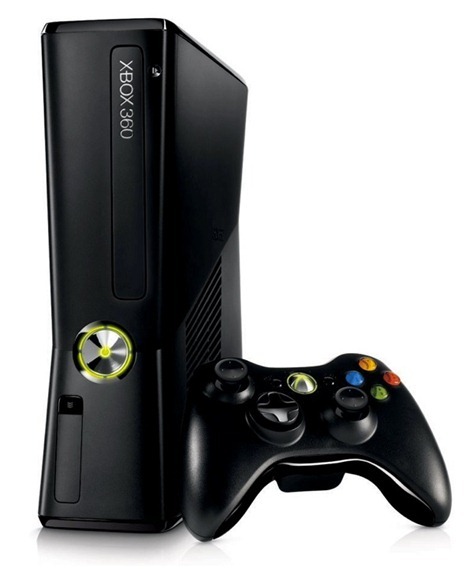 Step forward, Microsoft with the announcement that they will be offering Xbox 360 owners special price cuts on Xbox LIVE Arcade games for the next twelve days in the run up to 2012. Celebrate the countdown to 2012 with 12 days of deals on games, add-ons, avatars and more from Xbox LIVE. Drop by Xbox LIVE every day to see what new deals we have for you – but remember those special discounts won’t last for more than a day. Major Nelson continues on his price cut mission by announcing they are kicking the promotion off by offering 50% off the award winning Xbox LIVE Arcade game Bastion, valid for today only with a new deal to follow each day. The Microsoft 12 days of deals seems awfully familiar to the 12 days of Christmas promotion offered by Apple in recent years, but it seems that the Redmond based company has taken things a step further by also offering further price cuts on a number of additional Xbox LIVE Arcade games. 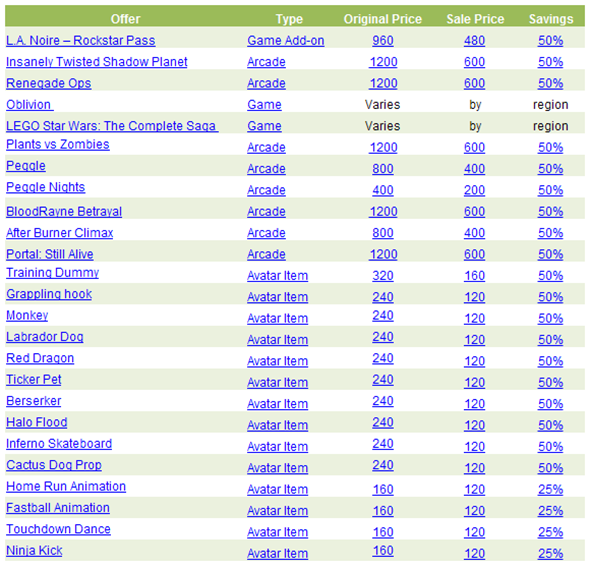 Unlike the deal-a-day price cuts, these secondary offers will last until January 2, 2012 and comprises a collection of games, add-ons and avatar items. Some of the more prominent deals on offer include 50% off Renegade Ops, Plants Vs. Zombies, After Burner Climax, BloodRayne Betrayal and 25% reductions on Grabbling Hook, Fastball Animation, Ninja Kick and Home Run Animation avatar items. As a regular gamer and Xbox LIVE user I personally welcome the price cuts, and the fact that Microsoft are prepared to show some seasonal good will over the holiday period by lowering prices. It could also be a shrewd move by the company, knowing full well that underneath thousands of trees across the world lies an Xbox 360 and more than likely the motion capture Kinect device waiting to be given as presents. As a result of this the Xbox LIVE service will no doubt be inundated with holiday season sign ups, with a captive audience being driven to the festive deals. I am pretty sure this will prove to be an all round winner for Microsoft. Rewarding customers whilst driving sales upwards can only be a good thing for all involved.